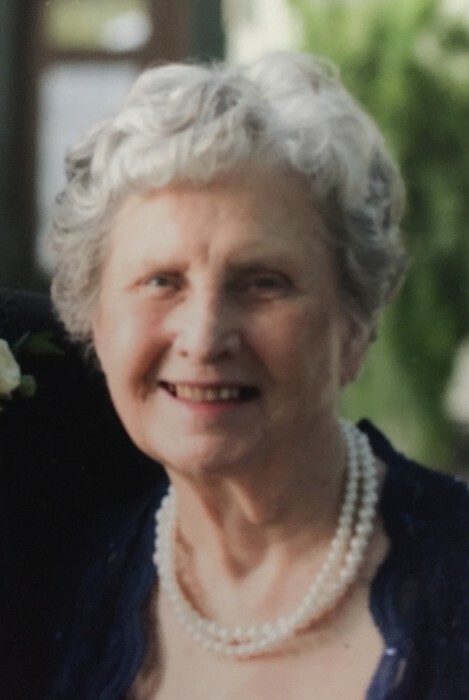 THELMA MAE BOWES CLAYTON age 87, formerly of 4147 Chub Lake Road, Roxboro, NC died Sunday morning, February 10, 2019 at Person Memorial Hospital. Mrs. Clayton was born July 15, 1931 in Person County, NC, daughter of the late Clarence King & Addie Vicks Bowes and was wife of 40 years to the late, James Everette Clayton. She was a homemaker and a member of Theresa Baptist Church where she taught Sunday School for a number of years and also sang in the Adult Choir. Surviving are two sons, Randy “Rook” Clayton & wife, Beverly, Dwayne A. Clayton & wife, Debbie all of Roxboro, NC, two grandsons, Blake Clayton & wife, Rachel of Apex, NC, Austin J. Clayton of Roxboro, NC, two great grandchildren, Kaylyn M. Clayton, Rook N.T. Clayton, two sisters, Golvia Breeze, Jean Carver, four brothers, Coy “Turkey” Bowes, F.T. Bowes, Mac Bowes, and Brodie Wayne Bowes. In addition to her parents and husband, Mrs. Clayton is preceded in death by three brothers, Ernest Bowes, Weldon Bowes, and Milo Bowes. Funeral services will be conducted at 2:00 p.m. Wednesday, February 13, 2019 at Theresa Baptist Church with the Rev. Herbert Brown officiating. Interment will follow in the church cemetery. The family will receive friends and guests from 12:00 till 1:30 p.m. prior to the service at the church and other times at the home of Rook & Beverly Clayton, 1306 McGhees Mill Road, Roxboro, NC. Pallbearers will be her nephews, Jeff Bowes, Neil Bowes, Tim Bowes, Tony Bowes, Calvin Clayton, and Linwood Clayton. Flowers are acceptable or memorial contributions may be made to the Theresa Baptist Church General Fund, 3919 Chub Lake Road, Roxboro, NC 27574 or to Cambridge Hills Assisted Living, 5660 Durham Road, Roxboro, NC 27574.